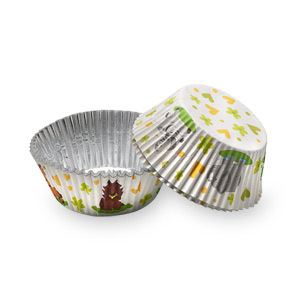 These cupcake cases are perfect for a jungle party. The staybright helps the case keep their colour. Matching muffin boxes, treat bags, and bunting available. Pack of 50 cases.